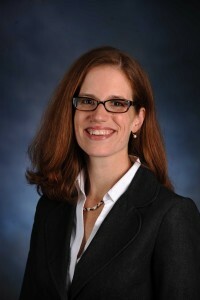 Andrew Young School alumna Elizabeth Searing (Ph.D. in Public Policy ’15) was recently awarded the Best Dissertation Award from the Public and Nonprofit Division of the Academy of Management at its annual meeting in Anaheim, California, for her work in nonprofit administration and strategy. Lugo, Kristina, and Elizabeth A.M. Searing. “The Impact Of Situational Factors On Forum Choice And Criminal Justice System Development In Bangladesh.” Emory International Law Review 29.1 (2014): 327-378. Searing, Elizabeth A.M., Fernando Rios-Avila, and Jesse D. Lecy. “The Impact Of Psychological Trauma On Wages In Post-Conflict Bosnia And Herzegovina.” Social Science & Medicine 96. (2013): 165-173. Searing, Elizabeth A.M. “Love Thy Neighbor? Recessions And Interpersonal Trust In Latin America.” Journal Of Economic Behavior And Organization 94. (2013): 68-79. This entry was posted in Economics, For Faculty, For Graduate Students, For Students, Graduate Student Publications and Research, Public Management & Policy, Publications and Research, ScholarWorks @ Georgia State University and tagged dissertation, Nonprofit, ScholarWorks @ GSU. Bookmark the permalink. Congrats Elizabeth! Thank you for helping non-profit organisations survive and for making us stronger. Enthusiasm is the engine of your success at work. The Management has taken a very wise decision in promoting you to such a high position. Congrats on the step up.